This recipe hardly needs an introduction. 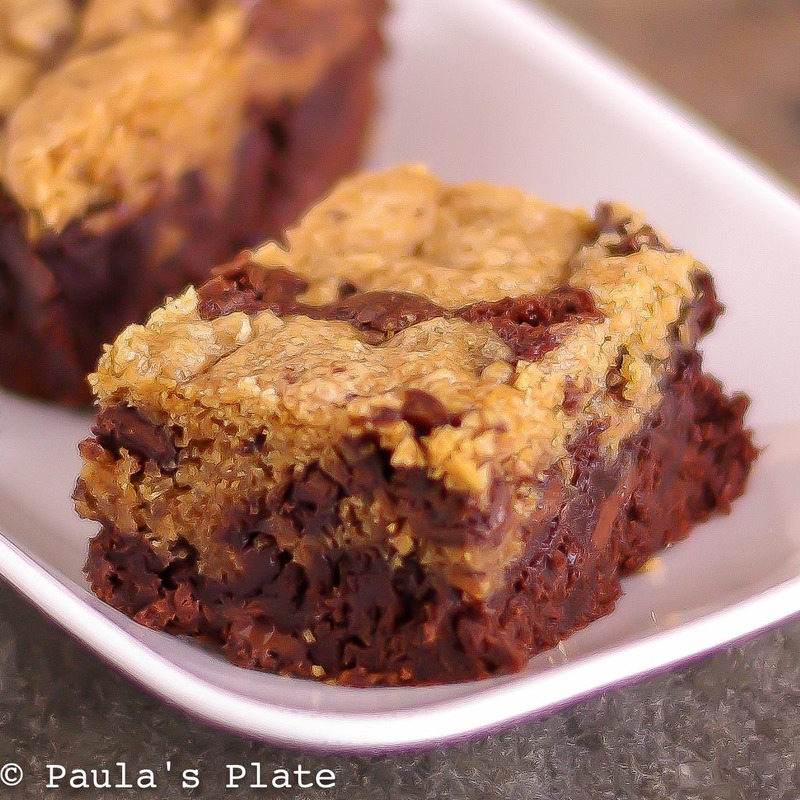 Something with the title chocolate chip cookie brownie essentially sells itself. In fact, after coming across the recipe over at Pinch of Yum, I was immediately sold and started baking immediately. I’ll keep this post short and sweet so that you can do the same! 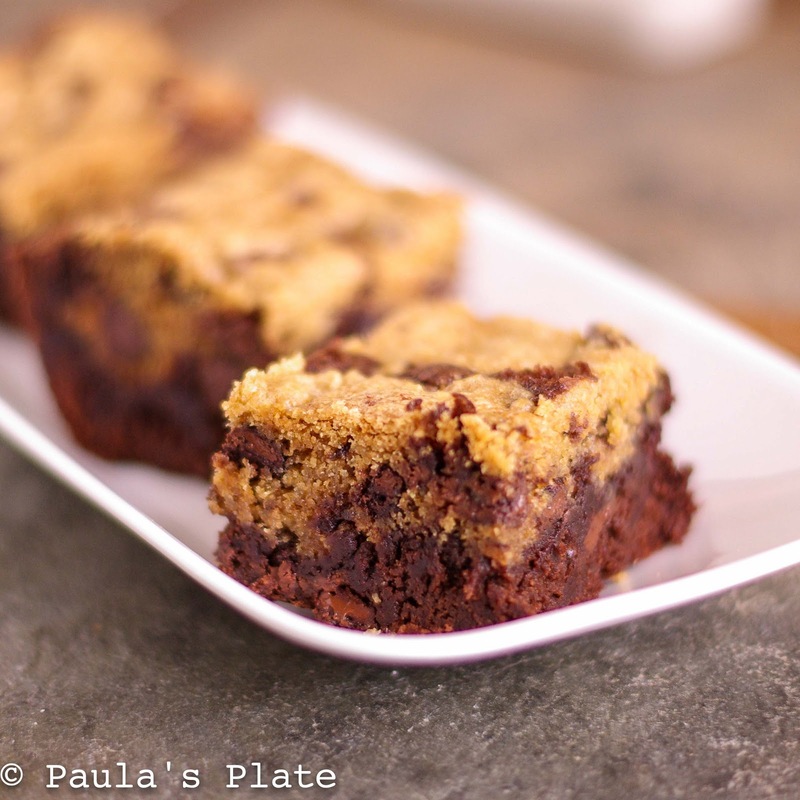 Indulgent, chewy, thick, and decadent, this dessert combines the best of two worlds – chocolate chip cookies and brownies. Can you get any better than this? I don’t think so either. Enjoy! As Lindsey explains over at Pinch of Yum, this recipe works best with a boxed brownie mix, as homemade brownies (though ridiculously tasty) tend to sink in the middle while cooking. That being said, feel free to experiment with your own favorite homemade recipe. If you’re looking for a tasty one, this is my favorite. 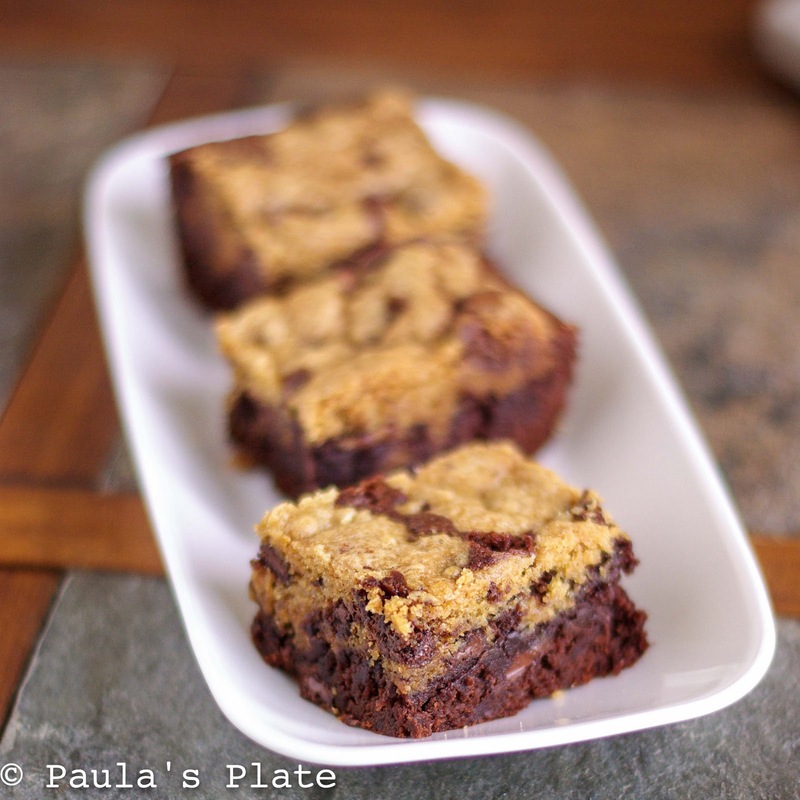 If you’re looking for an incredibly thick brownie, bake these in an 8×8 or 9×9 pan. If you like them a bit thinner, try a 9×11. You will use about 2/3 of the chocolate chip cookie dough for the recipe. I made about 12 additional cookies with the extra dough; the cookies are delish on their own and freeze quite well. Finally, Lindsey baked her brownies at 350 degrees for 35 minutes (the first 20 minutes uncovered, the next 10 minutes covered with foil, and the last five minutes uncovered.) I followed this advice, but after 35 minutes I still had brownie soup and ended up cooking mine for about an hour total. I’m not sure why that happened, but I recommend checking your brownies with a toothpick starting around 35-40 minutes and see how they’re doing. Don’t be alarmed if they are still quite undercooked. The toothpick should come out relatively clean with only a few spare crumbs attached. Eggs, oil and water required for mix. Add in egg and vanilla and beat until light and fluffy. In a separate bowl sift together flour, baking soda, and salt. Incorporate dry ingredients into wet until just combined. Prepare brownie batter according to the package instructions. Place brownies in oven and bake uncovered for 20-25 minutes. Cover brownies with tinfoil and continue baking an additional 10-15 minutes. Thanks Rosie, they are pretty tasty!